Just in at the Museum Shop is Wayne Levin’s new book Flowing. If you’re a fan of his previous ocean-exploring books Through a Liquid Mirror and Akule, you will love this new limited-edition volume, which was edited and sequenced by Kwan Hoon Lee, curator at Project Space Sarubia in Seoul. Published by Datz Press, Flowing showcases 79 of Levin’s dreamy underseascapes, some of them never been previously published or exhibited. All the copies in the shop are signed by the artist. 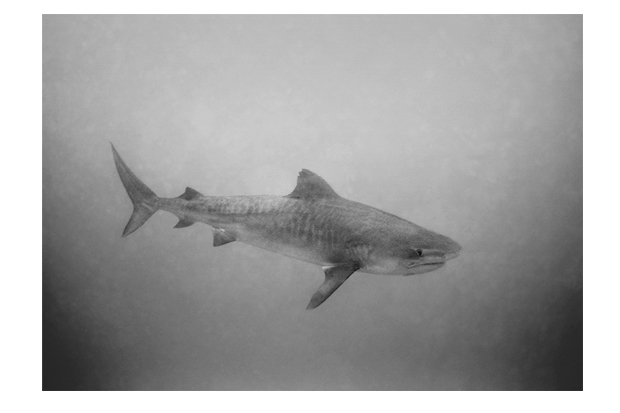 In addition, the Museum Shop has limited-edition prints of five of the images in the book, including the image above, Tiger Shark in Murky Water, 2012. For more information, call the Museum Shop at 532-3679.